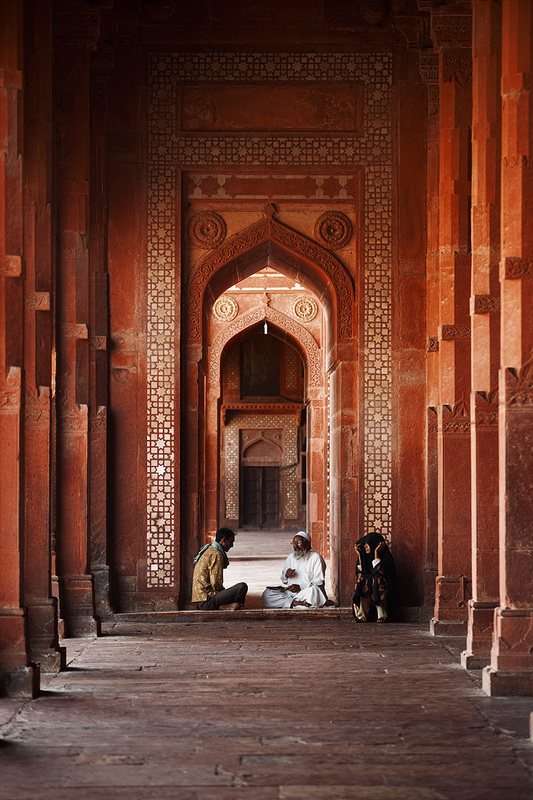 A young Muslim man receives advice in the prayer hall at Jama Masjid. 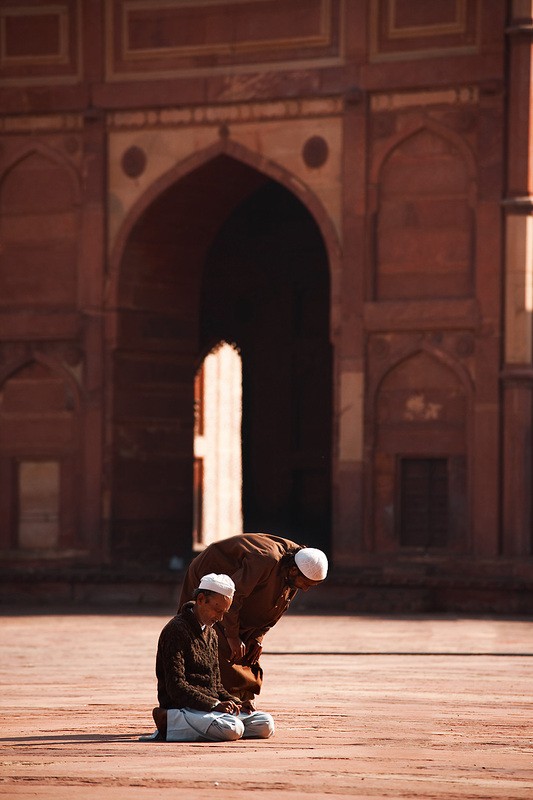 Muslim men pray in the courtyard at Jama Masjid. 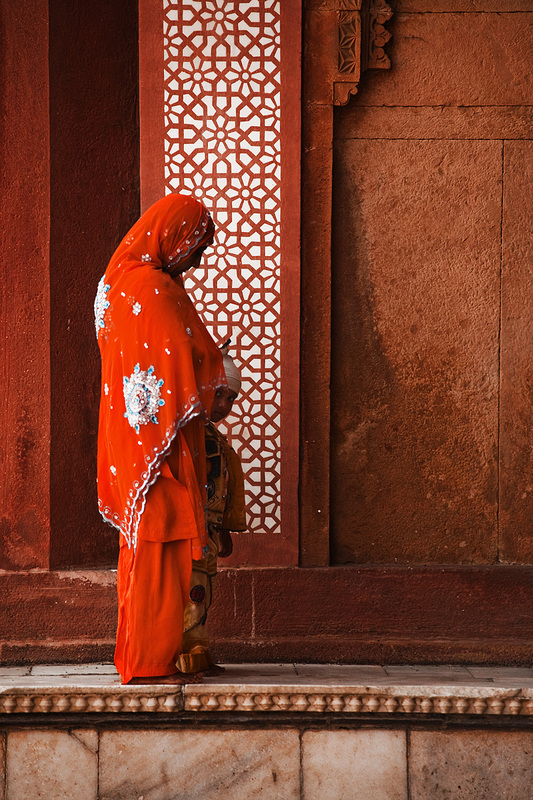 A child spies suspiciously while his mother prays.